If you’re a meal prepping machine, roasting vegetables while you’re prepping other components truly does save so much time. I’ve learned that the oven is power for multitasking. Along with a slow cooker, you simply pop it in and forget it. From the moment I met my honey, he has NEVER partaken in any of the cabbage family goodness. Which is something so crazy to me because that man can house some seriously strange proteins that bring you to an episode of Chopped. 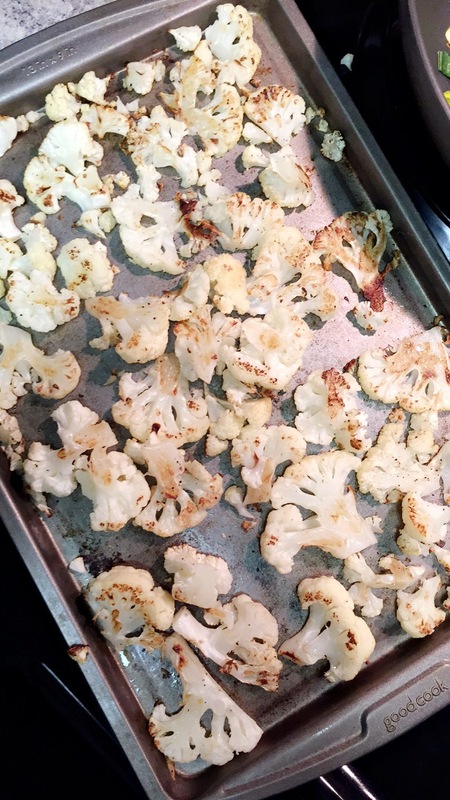 I tend to find that roasted veggies go so much farther for picky eaters than steamed or raw so this is surprisingly husband approved in this household! 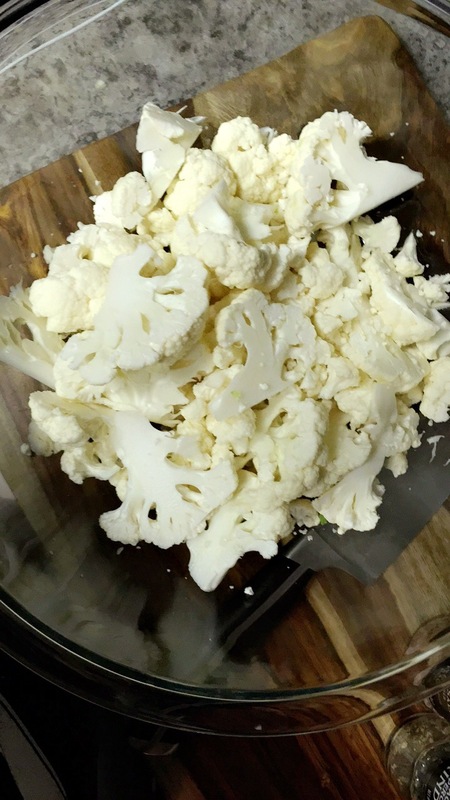 Roasted cauliflower is great for soups, sauces, or as an easy everyday side. Preheat oven to 400. 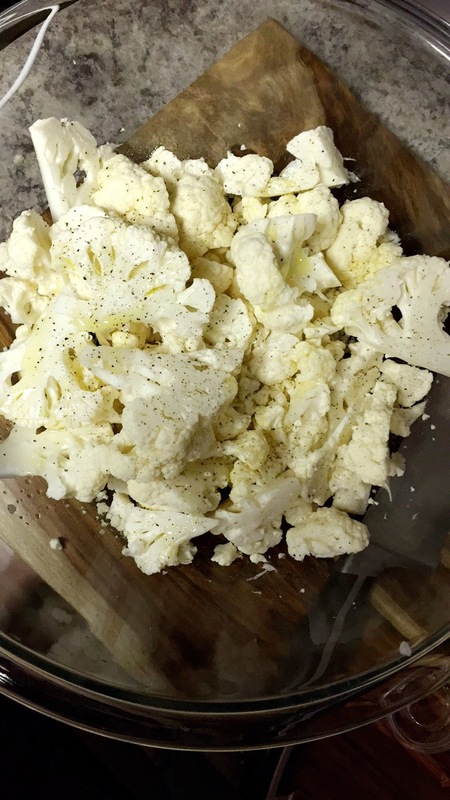 Cut the cauliflower away from the middle stem and leaves and cut florets into flat pieces.In a mixing bowl, season florets with olive oil, salt, and pepper. 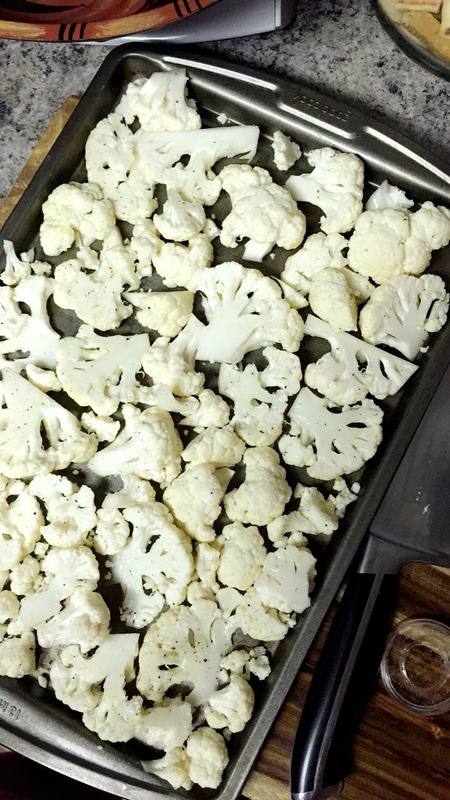 Transfer to a parchment lined cookie sheet. 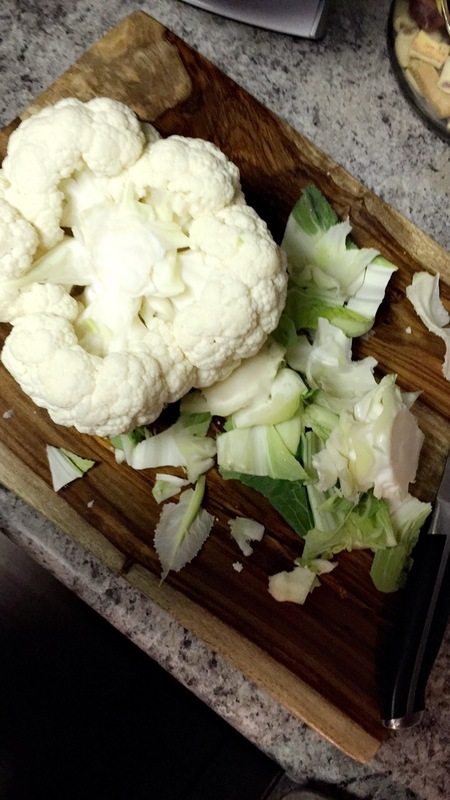 Arrange cauliflower being careful not to overcrowd causing steamed vegetables instead of roasted. Roast for 15 minutes, flip, and roast for an additional 10 minutes or until your flower is toasted and brown (shown above).